2018 “Lichen” SOLD OUT. 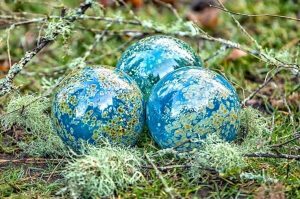 Our annual float to benefit the Museum of the North Beach in Moclips, WA, the 2018 edition is called “Lichen.” It has a translucent blue base with brown and red spots inspired by Lichen. Float is 4.5″ wide and sealed hot with a button stamped with “Moclips-by-the-Sea.” Half of the purchase price benefits the Museum of the North Beach.